BrailleBoard is the first application that supports writing on touch screens using Arabic Braille language, developed for the visually impaired people who are using smart phones or intended to do so. Blind people dont have to learn new typing technique since they already know the Braille language. 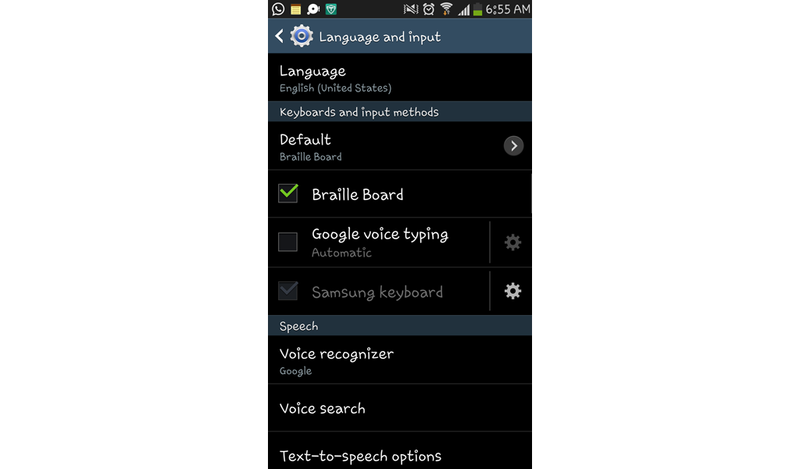 The main advantages of the used approach are that it does not need any extra equipment to be connected to the smart phone and this makes BrailleBoard less expensive than any other solution, it is dynamic; the user can enter the six standard inputs (initial points) and the user will not stick to these points in any later entries. It is also simple to use, one entry for each character, supported by voice and respond promptly to the input.